In today's charged climate of the #MeToo and Time's Up movements, women's voices are being heard louder and clearer than ever. Film-maker Kirsten Tan and her brother, Benjamin, get candid about gender equality in this first part of a three-part series. There is something intriguing about seeing film-maker Kirsten Tan in front of the camera. For one, the Generation T lister is mostly seen on the other side, scrutinising the actions and expressions of her cast. Then, there is the quiet confidence she exudes despite the role reversal. Perhaps she is part of the growing crop of film directors who are comfortable being in front of the camera. Or perhaps being in the company of her older brother Benjamin is helping her feel at ease. After all, he has been her strongest supporter since she began dreaming of telling stories through film as a child. 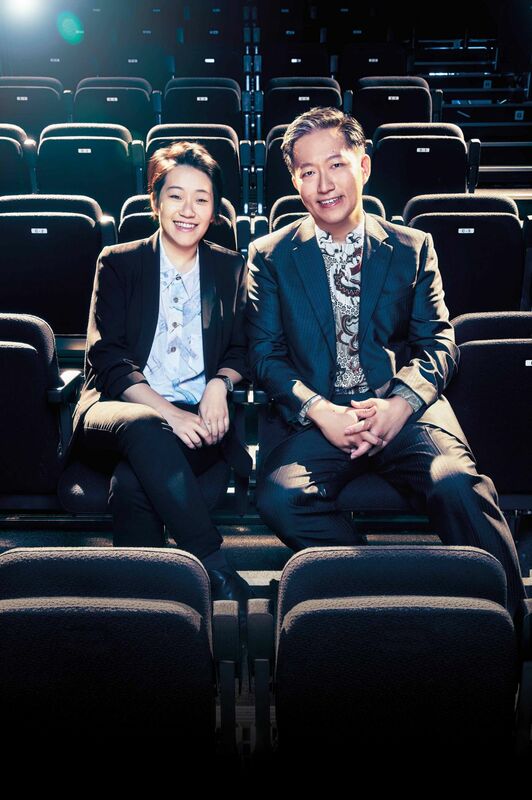 Benjamin, a senior vice president at Qantas Airways, calls Kirsten a trailblazer—a title she humbly declines—for numerous reasons, but most notably for achieving several firsts as a Singaporean film-maker. Her debut feature film Pop Aye, which she wrote and directed, won the World Cinema Dramatic Special Jury Award for Screenwriting at the prestigious Sundance Film Festival 2017. It was the first Singapore film—and Kirsten, the first Singaporean—to win a prize at the largest indie film festival in the US. As International Women's Day approaches on March 8, Singapore Tatler asks the siblings to share their thoughts on the gender balance in the film industry as well as the recent sexual harassment controversies that have hit Hollywood. Watch the video below for their conversation. This story first appeared in Singapore Tatler's March 2018 issue. Here's Part 2 with Stefanie Yuen Thio and Part 3 with Violet Oon. Close Up What Do Stefanie Yuen Thio and Thio Shen Yi Think About Gender Diversity In Law?